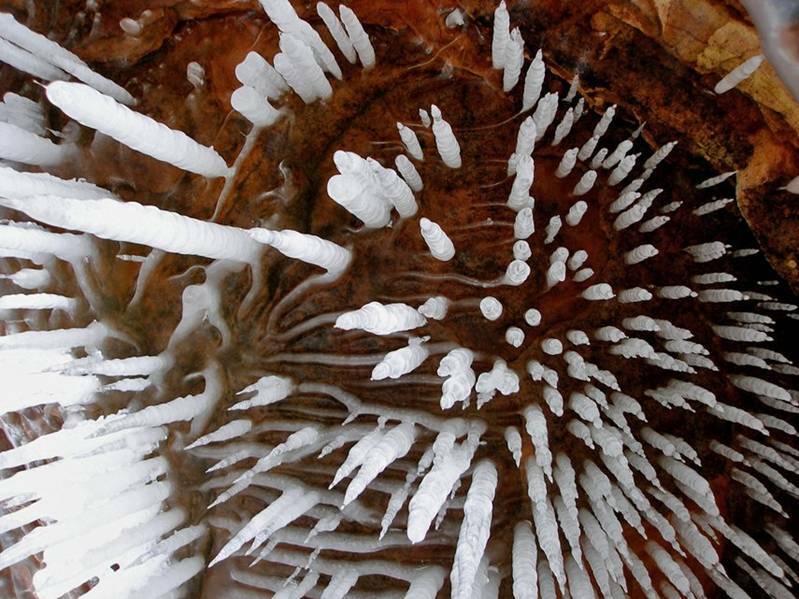 Home » Amazing » Wisconsin’s Ice Caves Are Open For The First Time In Years, And They Look Incredible..
Wisconsin’s Ice Caves Are Open For The First Time In Years, And They Look Incredible..
By Sparky in Amazing on February 14, 2014 . 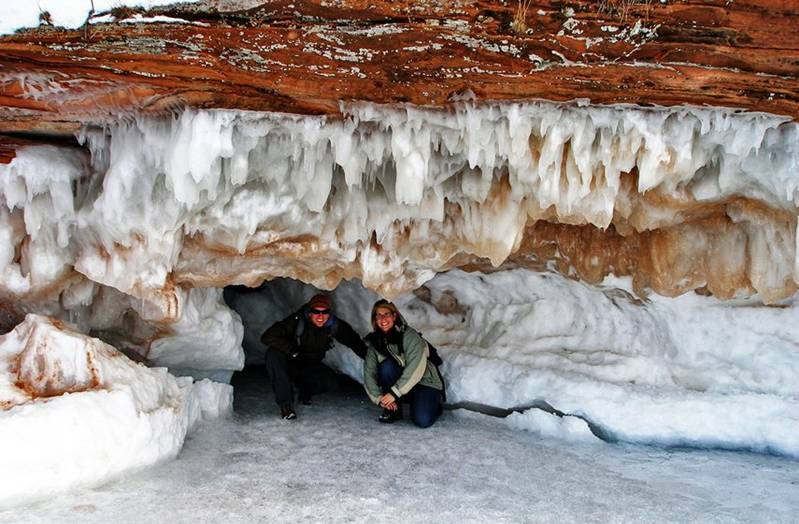 Wisconsin’s Ice Caves Are Open For The First Time In Years, And They Look Incredible. The 21-island park located off the coast of the northern tip of Wisconsin is a well-known summer kayaking destination that attracts visitors with colorful, winding caves and rock formations that protrude and dip along the water line…..In the winter, the seashore takes on an entirely different quality. As frigid weather takes its toll on the Midwest, massive stalagmites and stalactites form along the islands’ striated geology. Inside the caves, lake water freezes into smooth, icy floors that are as clear as a sheet of glass. 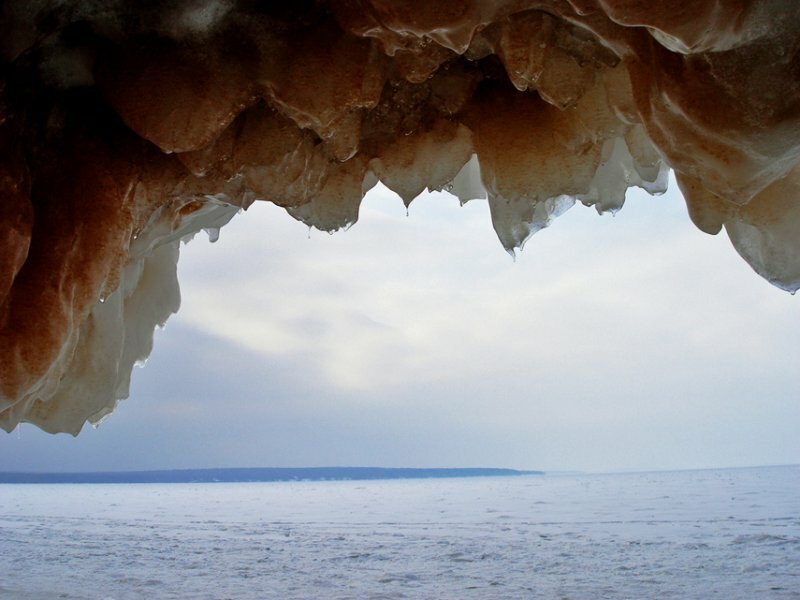 Visitors can reach the caves by walking about a mile across the frozen surface of the lake — when the ice is thick enough, that is….Park officials monitor the ice conditions carefully, and the last time the ice was thick enough to venture safely out onto the frozen lake was in 2009. 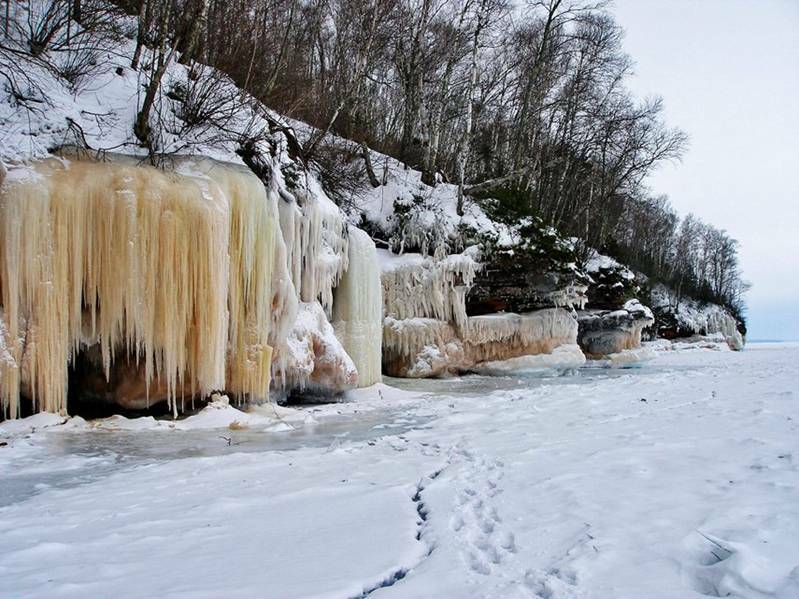 Luckily, after the past several weeks of Arctic-like weather, Lake Superior is now iced over enough to allow safe passage from the mainland to the caves.